Geneva, Switzerland – 1st May 2017 – MSC Cruises - the Swiss-based world’s largest privately-owned cruise line and brand market leader in Europe, South America and South Africa - announced today the opening of sales for MSC Bellissima. For her inaugural season, the ship, which is the much-awaited second of the Company’s Meraviglia-generation mega-ships, will set sail in the Western Mediterranean from March 2019. Sales are initially open exclusively for MSC Voyagers Club members, as one of the many benefits of the programme that rewards loyal MSC Cruises guests. They will open on 15 May for all other guests. One of the highlights of MSC Bellissima’s onboard entertainment will be the two Cirque du Soleil at Sea shows, created exclusively for MSC Cruises’ guests by the world leader in entertainment, Cirque du Soleil. With two performances six nights per week in the purpose-built Carousel Lounge, guests will be able to enjoy an exclusive pre-show dinner service: a table d'hôte offering an eclectic selection of creative dishes that will be served before the show. This is a unique experience that cannot be had anywhere else at sea, available on board MSC Meraviglia and now MSC Bellissima. All guests who book by July 31st 2017 will receive a complementary Cirque du Soleil at Sea dinner and show experience1 as part of their cruise booking. • Six ports in seven nights in the Western Mediterranean: MSC Bellissima will call at the popular ports of Genoa, Marseille and Barcelona as well as other much sought after Mediterranean destinations including Naples, Messina in Sicily and Valetta in Malta, with a wide range of shore activities carefully designed to help guests discover to the fullest each destination and its unique culture. • An unprecedented choice of both fine dining and more casual options through 10 venues – in true MSC Cruises fashion - serving always fresh, authentic food. • A vast array of family facilities and entertainment make this the perfect family holiday also thanks to programs and facilities designed in partnership with leading family experts including the LEGO Group and Chicco as well as the DOREMI Studio Lounge, a dedicated lounge for all family activities, and the DOREMI Tech Lab, a must visit destination for kids who love technology. • Mediterranean-style promenade with an 80 meter LED Sky screen, the longest at sea that acts as the social hub of the ship with a range of shops and restaurants. • The much-acclaimed digital innovation programme, MSC for Me will be available to all guests. Employing the latest and the best technology available at sea, guests will be able to customise their on-board and on-shore experience. MSC for Me touches every aspect of the holiday from simplifying planning, providing information through to safety and security. When booking MSC Bellissima, MSC Voyagers Club members will also receive a special 5% discount in addition to their current MSC Voyagers Club early booking discount. Other guests will also enjoy a 5% discount on early booking fares until October 31st 2017. MSC Bellissima has been designed for all seasons and is able to call in most of the world’s international cruise ports. 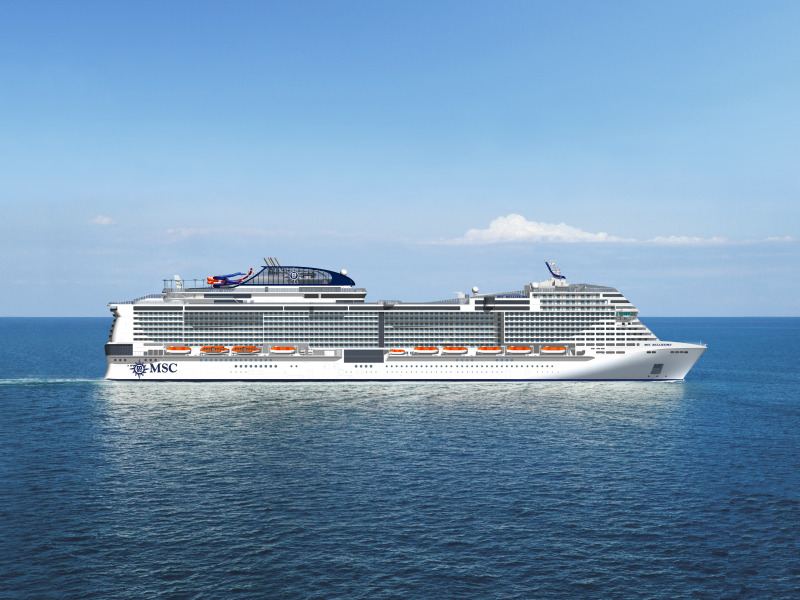 With a gross tonnage of 167,600 GRT and capacity for more than 5,700 guests, this new cruise ship will be the largest in the MSC Cruises’ fleet, along with MSC Meraviglia. 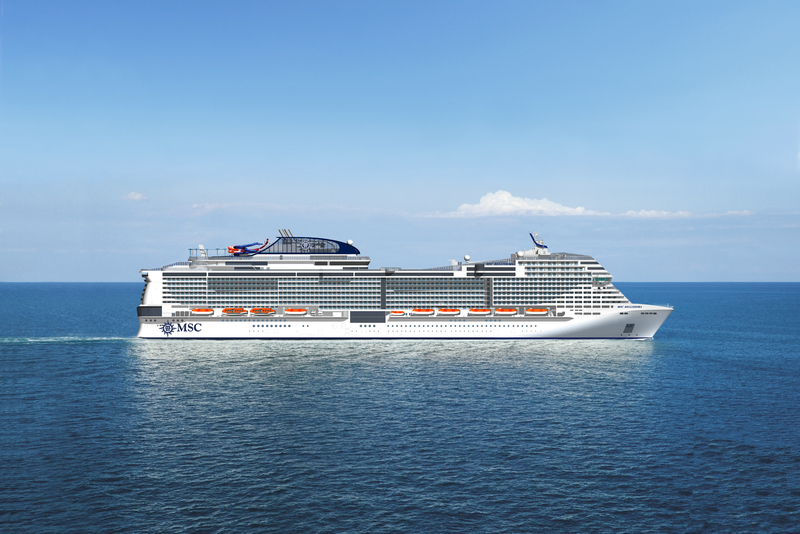 MSC Bellissima is currently under construction at the shipyard of STX France. For all other guests who do not book during the Early Booking period (May-July 31st) The Cirque du Soleil at Sea shows are a pre-booked experience with an additional charge at highly competitive rates and can be booked in advance or whilst on board during the cruise. The Dinner & Show will be charged at €35 or guests can book a Signature Cocktail & Show for €15.